As you know from our post last Sunday, this week we have decided to ask our readers to submit their own photos from the bank holiday weekend! We had a load of lovely entries on our Facebook page, and it was pretty tough to choose just one photo to be our #MySundayPhoto this weekend! We have chosen this one by Emma! This picture is adorable for many reasons, but personally I love the very serious expression on the little man’s face and the fun being had with everyone else in the picture! This shows that digging up sand and building sand castles are very serious business indeed! 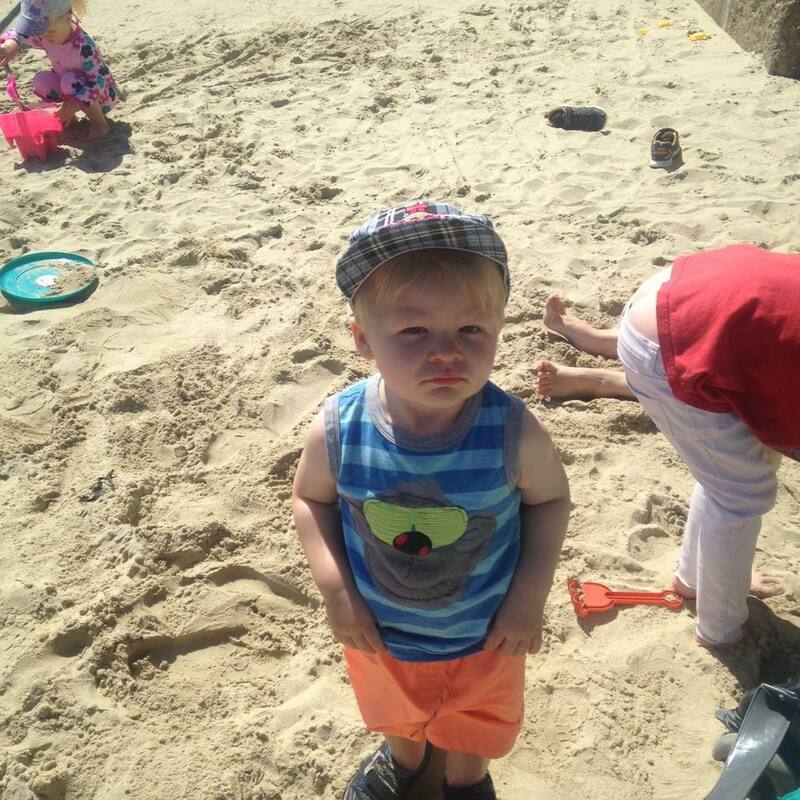 Thank you Emma, great photo and it looks like you had a fab time at the beach! He looks like somebody has just stolen his ice cream! It's one of those pictures where a lot of captions could fit, isn't it! Oh to be inside the mind of a toddler, eh? Thanks for commenting Linda! Previous Post Winter vs. spring: What’s changed?